An intensive "reactivating" Deodorant Stick, Aramis 24hr High Performance provides continuous long-term odour and wetness protection with an invigorating and masculine scent that gives the wearer a richly sophisticated edge. Keep wetness and odour at bay with the Aramis 24hr High Performance Deodorant Stick. 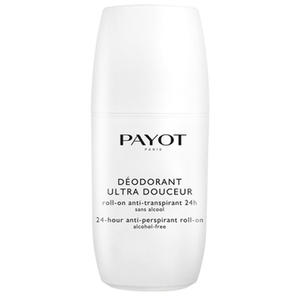 This long lasting deodorant works as hard as you do, ensuring you remain composed, dry and smelling great throughout the day. Notes of bergamot, cumin and jasmine express confidence and refined character with a distinctive, sensitive style. 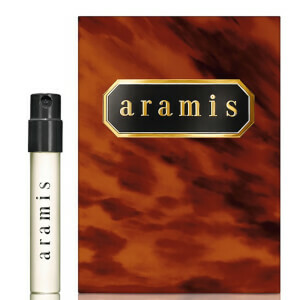 Aramis embodies male strength and virility and is one of the few current fragrance lines for men with a strong, recognisably leathery scent boasting rice spices, leather, moss and clove blended with notes of patchouli, amber and musk. Why is the deodorant so hared and uncomfortable to apply. Can you send illustration of the actual white stick substance? It may be that mine is old stock or faulty. I would thoroughly recommend Aramis 24Hr High Performance Deodorant Stick. i was delighted with my purchase of the	Aramis 24Hr High Performance Deodorant Stick. It was much less expensive than buying it in cosmetic stores and it was delivered very quickly, even a couple of days before the expected date! Would not hesitate to purchase from Lookfantastic in the future. for all Aramis lovers, this is of course the doe for you. This is the "gel stick" variant (deodorant), there is also a talk based alternative (anti-perspirant). This one is easier to apply, but I think the stick lasts shorter than the other. The "24h" slogan is almsot true, I think, apply int in the mroning and you do not need to re-apply for an evening out.